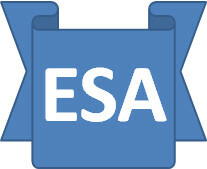 The ESA Saga: Compassionate capitalism with a social conscience – unfortunately not possible. Compassionate capitalism with a social conscience – unfortunately not possible. J K Galbraith is arguably the most insightful economist we have ever seen, best shown through his quotations, which appear a few times here. “The modern conservative is engaged in one of man's oldest exercises in moral philosophy; that is, the search for a superior moral justification for selfishness” (JKG#1). A good example is over attitudes to tax legislation. There is generally a fairly clear intention with a new law – to raise more tax from a particular source – but the very first reaction of those affected is to try to find a loophole and a way round it. This is largely seen as acceptable as it is within the law, but the letter rather than the spirit. The moral approach would be to accept the intentions of the law and pay up willingly, but will that ever happen? Capitalism permeates downwards as crumbs fall off a table: sometimes the crumbs become larger, but at the very first sign of a famine they will stop falling altogether. As was admirably demonstrated by Colonel Gadhafi. Personally, I believe there is a concept of “enough” – a more than adequate level of reward that can be applied to any form of investment, financial or otherwise. Once this threshold is reached, all subsequent returns are spent on general welfare. It will take some thought, but there is a formula that serves this purpose. I may be prepared to agree to allowing Wayne Rooney to live in extreme luxury as a reward for the talent he possesses, but am I really prepared to extend the same level of generosity to every generation of Rooneys in perpetuity – given I have a problem with the first proposition, I most certainly would not vote for the second! All a bit of a pipedream, so the current debate on the steps of St Pauls may be an interesting intellectual pastime, but I am afraid rather pointless. You simply cannot be a banker and a true Christian!